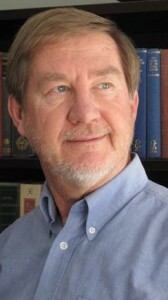 Dr. Gordon Nickel to speak at Grace College. Dr. Gordon Nickel, a specialist on the historic relationship between Islam and Christianity, will be visiting the Grace College campus Friday, March 22, to deliver this year’s Lyceum Lecture on Faith and the Academy. The lecture, “A Christian Response to Global Islam,” will be held at 7:00 p.m. in Westminster Hall on the Grace College campus. Earlier in the day, he will also address the students of Grace College during the 10:30 a.m. chapel hour. Nickel’s research focuses on early Muslim writers and the way they approached the Bible in light of the Qur’an. He has completed graduate study at the School of Oriental and African Studies in London and The University of Calgary and has lived in Pakistan and India, where he taught for ten years. He seeks to respond to Muslim voices with a concern for apologetics while promoting peaceful approaches to dialogue. He is the author of Narratives of Tampering in the Earliest Communities on the Qur’an (Brill, 2010). The Lyceum Series on Faith and the Academy is a lecture series hosted by the Office of Faith, Learning and Scholarship that strives to reflect Winona Lake’s tradition of cultural engagement and Grace College’s commitment to vibrant conversation on issues related to the intersection of Christian faith and academics.